enero, originally uploaded by Amity Beane. 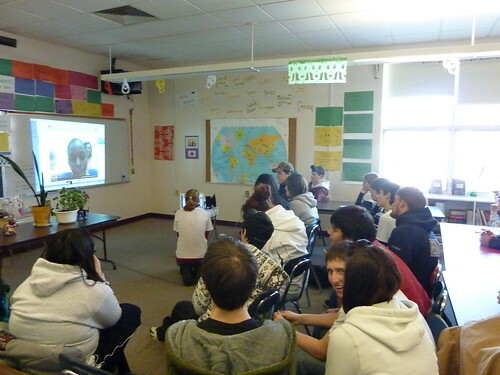 We used SKYPE today, Diversity Day, to speak with this young lady on the projector. She was in Port au Prince the day of the earthquake, with her family. She has now returned to school in Santiago where she is studying to be an orthodontist.